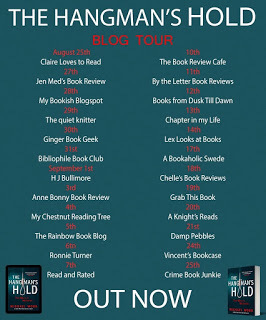 I’m abso-friggin-lutely DELIGHTED to be hosting and closing down Michael Wood’s THE HANGMAN’S HOLD blog tour today! This is one of my favourite series which I have been happily following from the start! My thanks to Killer Reads and Netgalley for an invite and ARC of this book. Shall we find out a bit about Mr Wood and this awesome read first? 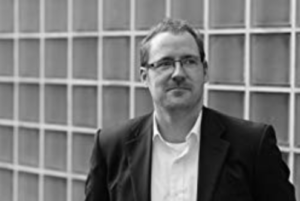 Michael Wood is a proofreader and former journalist from Sheffield, South Yorkshire. He is the author of the DCI Matilda Darke series set in Sheffield. For Reasons Unknown was Michael Wood’s debut novel, which was published in 2015. Killer Reads/Harper Collins published the second instalment, Outside Looking In 2016 and A Room Full Of Killers in 2017. 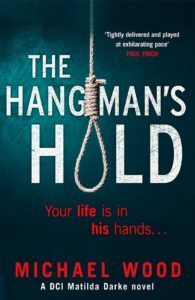 The Hangman’s Hold is the latest instalment in the series. Your life is in his hands. In the gripping new serial killer thriller from Michael Wood, Matilda Darke faces a vicious killer pursuing his own brand of lethal justice. Perfect for fans of Angela Marsons and Helen Fields. There’s a killer in your house. The Hangman waits in the darkness. He knows your darkest secrets. He’ll make you pay for all the crimes you have tried desperately to forget. And he is closer than you think. DCI Matilda Darke is running out of time. Fear is spreading throughout the city. As the body count rises, Matilda is targeted and her most trusted colleagues fall under suspicion. But can she keep those closest to her from harm? Or is it already too late? We’re back in Sheffield where retribution, vigilantism, change, moving forward, anger, justice, narcissism, control, guilt, jealousy, a moral dilemma and an overwhelming need for justice seeps under our skin while we turn the pages. DCI Matilda Darke is a fantastic character – she has so many layers and with each book in the series, we get to see that little bit more. She struggles daily with things we all might take for granted, but she is determined, loyal and always working to make sure that she deals with things life throws at her rather than burying her hand in the sand. Don’t get me wrong, it is not always an easy journey for her, she is pushed to the absolute limits in this novel – and sometimes she needs a nudge to face the issues – but I really find myself rooting for her as each new novel is released. Matilda also shares a great relationship with her colleagues – even those she may not like so much – there is always something to keep the reader hooked. What I also enjoyed in this novel is how the tables were slightly turned with Adele – the police pathologist and Matilda’s closest friend. An incident makes her reflect on her life and she hides away a bit. It is Matilda that helps her and reminds her that it is ok to feel vulnerable as long as you don’t let it consume you. Very emotive to see these two women supporting each other. So, would I recommend this read? You bet your sweet arse I would! Tense, dark and oh-so-thrillingly-twisted, this has to be the best in the series so far… and I LOVED them all! Highly recommend you grab a copy of each and every one of the Matilda Darke series and I hope Mr Wood is busy writing the next in the series as I can’t wait to read it! 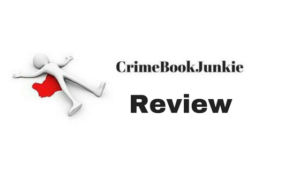 This entry was posted in Blog Tours, Book Reviews and tagged #AllTimeFavourite, #BlogTour, #Crime, #Crime #Twists #Murder, #CrimeFiction, #CrimeThriller, #Emotive, #Gritty, #KillerReads, #Murder, #PoliceProcedural, #Psychological, #SerialKiller, #Series, #Suspense, #Thriller, #TopRead2018, #Twists by crimebookjunkie. Bookmark the permalink. My Debut Novel – Pre order now!